We are living in the era where everyone is struggling to make their lives better and scarcity of time is very common. With dual income families in all the metro cities and even in small towns, creating a work life balance is taking a toll on almost every household. It is very true that the remunerations are at the all time highs, but so is the expectations. Therefore, spending the quality time with the family these days have been restricted to shopping for grocery and household items because these petty tasks can’t be accomplished on weekdays due to long working hours. In this scenario, it becomes competitive to build a strong bond with the family due to their workaholic lifestyle. Time always seems to be the constraint whenever you want to spend time with your family. Mobile applications and M-commerce are undoubtedly transforming how we live our everyday lives in a positive way and a few of the mobile applications have acted as the saviors when it comes to time saving and making our life easy. There are 100 of mobile apps available these days to take care of almost all the aspects of our lives. Few of the examples are mentioned below about how Mobile apps have helped us in a great way. Shopping Your Household Products: Now, shopping for your grocery items has become very easy and with the advent of mobile apps like ShadowFax and PepperTap, the grocery products, fresh fruits & vegetables can be easily delivered at your doorsteps with just a few taps on your smartphone. One of deals, offers and shopping apps is Loc8Deals. Food Delivery: A bit old but known concept earlier it was restricted only to Pizzas but these days, you can enjoy a vast array of dishes delivered right at your place with the help of Mobile apps like Foodport, Eatlo and Holachef. These apps are like a boon to the working couples who, after their busy schedule are unable to visit a nearby restaurant to enjoy their dinner. One of Food Delivery apps is – GrubHub Food Delivery/Takeout. GrubHub Food Delivery/Takeout offers free ordering for delivery or pickup from more than 28,000 restaurants in 600+ cities. You just need to search by address or current location, and you will find what you’re hungry for. So, just order and enjoy. 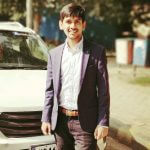 Uber, Ola cabs, My TaxiIndia, all these are well known names among the people of metro cities who often use this mobile app for personal transportation. You don’t have to be dependent on public transport for commuting. With just a few taps, you would get a car wherever you want. One of Taxi apps is 456TaxiCabs. The world’s fastest free taxi app that allows you to easily book a taxi and track it in real time, with just a tap of a button. It lets you simply choose the taxi you like, instantly receive your driver details, track the taxi to your address, and pay after completion of the trip. You can view your travel history, modify or cancel trips, book return or repeat journeys with ease. It also provides sharing options by letting you share the tracking link through SMS/Whatsapp/Email and let your loved ones track you through your journey. 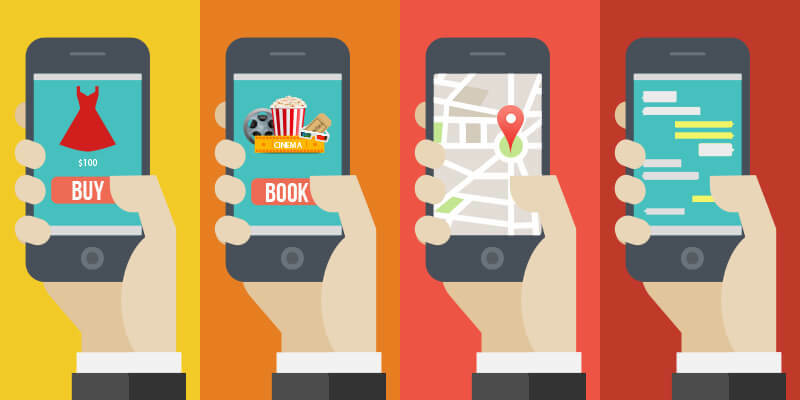 It helps you make cab booking easier and more convenient on the go. Now, no reservations required and no waiting in cablines. Just, request a ride and track your reserved vehicle’s location using the app and get picked up in a tick. Leverage an entirely new and modern way to travel in just one tap. Paytm offers online mobile, DTH & Datacard recharge, or pay your mobile or utility bills and also shop online. It’s easy, it’s quick and secured. It allows you to use any payment option you are comfortable with to pay for online prepaid recharge, DTH or bill payment, or add money to your Paytm Wallet and enjoy an incredible mobile recharge & shopping experience. You can use Paytm Wallet to pay for shopping online at many destinations or pay for services such as cab fare and more. You get all of this and more for free! It’s never been so easier to keep in touch with your loved ones. Thanks to the social networking apps. Most of the messaging and social networking apps are there. But as the smartphones are geting smarter, so do the apps are. And, every new app comes with something more than ever. From fan favorites like Instagram, Facebook, Twitter and WhatsApp to newcomers like Tinder or Line, there are lot of social network that’s tailored to our tastes. One of Social networking apps is Let’s Connect. Let’s Connect allows you to expand the power of multimedia communications to bring happiness and entertainment in your and your dear ones lives. It provides you the new way to talk, text and share by voice and video calls, messages, and a boundless variety of fun and exciting stickers. It’s easy to use and provides structured setting options. Connect provides easy registration steps as it only takes a few seconds to register with Facebook, Twitter, Google+ or Yahoo accounts.Reshape communication around the globe and bring your dear ones more closer by expressing yourself in ways that you’ve never thought possible—for free. No wonder mobile apps are becoming so popular among the masses and last year, a survey was released that stated that on an average, Indians spend 3 hours a day on their smartphones and check their phones at least 100 times a day. The above mentioned activities and the mobile apps are just a few of the examples and the list is very exhaustive. While we are all trying to maintain a work –life balance, these apps are doing a bit to make our lives more easier. By using these apps, you would be able to save a lot of time and efforts and you can spend your time with your family and loved ones, too.